YipTel delivers the easiest and fastest way to connect employees and clients with powerful personal interactions. Now you can communicate face to face from virtually any device, (phone, pc, mac, laptop, room systems and immersive theatres) anywhere in a secure, encrypted, HIPPA compliant environment. 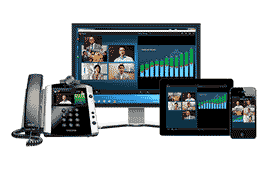 Enjoy high definition audio and video quality with the YipTel Meeting Suite™ powered by Polycom®. Studies have shown that video solutions within a business dramatically improve productivity, deliver powerful ROIs, and increase sales conversions. 55% of communication’s impact comes from facial expressions and body language. Flexible working improves employee productivity by as much as 39%. People learn 38% more and are 43% more persuasive in face-to-face meetings. 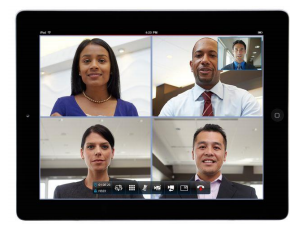 Recent global survey found that video conferencing increased decision making by 87%. 94% of video conferencing users agree it helps them improve efficiency and productivity. People who telecommute work an average of 7 hrs. a week more than a usual commuter. It’s all about connecting people anytime, anywhere with the power of the Cloud. YipTel Meeting Suite allows you to connect on a HD video/audio conference with the added benefits of application sharing, integrated chat, and presence integration. YipTel Meeting Suite is available on mobile devices, in a web browser, at your desk, or in the Conference Room. YipTel is the first carrier to deliver a presence-aware global directory that integrates Facebook, Skype, and Google Talk contacts. This enables you to IM your contacts to join a secure impromptu meeting. YipTel is also unique in its ability to connect to existing video systems including Polycom, Cisco, Tandberg, LifeSize, and other H323 and SIP standard devices. With Cloud AXIS® you can invite mobile/tablet users, laptop users, and desktop users making it easy to extend video collaborative experiences anytime, anywhere.